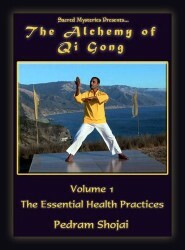 This DVD is the first in the Alchemy of Qigong series. It focuses on bringing up the health and vitality of the body as the essential basis for further esoteric work. Filled with powerful health-enhancing exercises, this volume is designed to teach the viewer to take control of their own personal well being as it helps restore the vital flow of the Qi energy. Helping enhance the health is the primary goal of the beginning practitioner. If already in relatively good health, these exercises help bring up the vital energy of the body and serve as an important foundation for a balanced Qigong practice. The content in this DVD is very necessary for people living in the modern world. It serves as a policy of health assurance vs. insurance. The skills taught in this volume are the foundation of a vibrant preventative approach to health and wellness.